This is so cool, love her appearance! Thank you for joing the Cheerful Stamp Pad challenge. So cute!! Thanks for joining us at the Cheerful Stamp Pad!! She looks a real character. Thank you for joining us at the Cheerful stamp pad. I love your card. Thanks so much for entering "Gothic Cuties" at The Cheerful Stamp Pad. 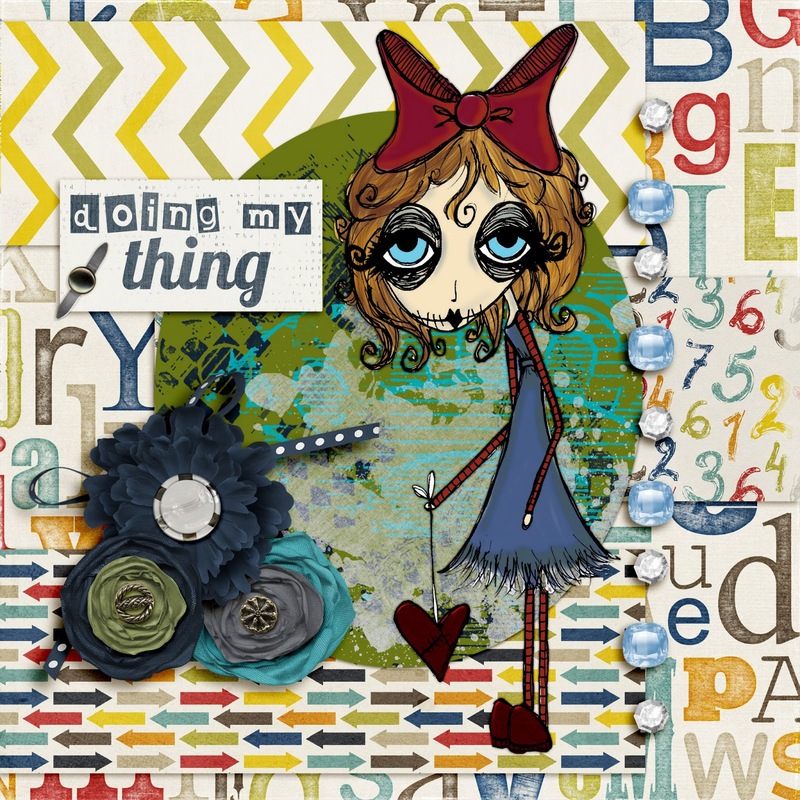 Love this card, the way you used all the background papers and embellishment, what a Gothic Cutie! Thanks for playi;ng along with us at The Cheerfrul Stamp Pad.